Last week I attended the Archdiocesan Director’s Day and Principal’s Retreat in Bowral. Catholic leaders gathered to celebrate our identity, to welcome new colleagues and to reflect on the “Engaging Faith, Minds and Community” which is the theme of Catholic Schools’ Week 2019. The theme this year describes the desire for our Catholic school experience to be one of engaging faith, of inspiring minds and of creating strong communities. 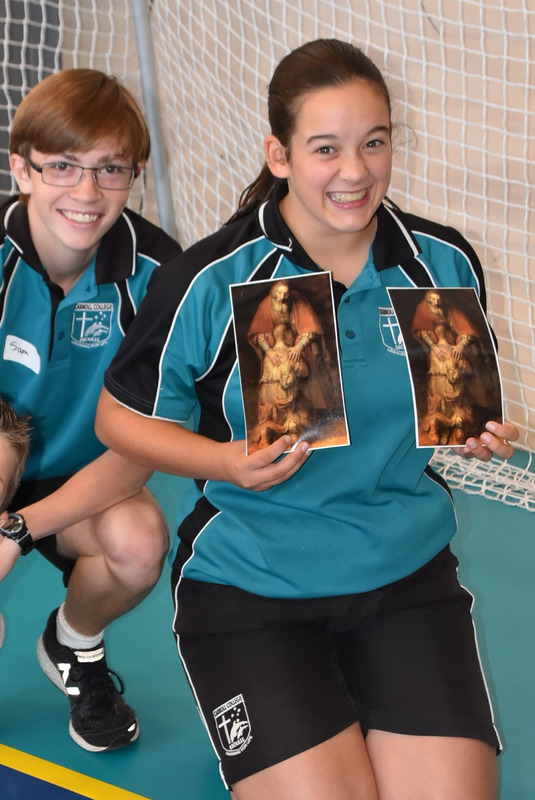 To embrace this, Catholic Schools in the Archdiocese of Canberra and Goulburn are places filled with hope, joy and wonder, where the fullness of life is experienced and where Christ is found at the centre of all that they are and all that they do. The past fortnight has been a busy one. I commend the students on their level of participation with our recent ‘Activities Day’. 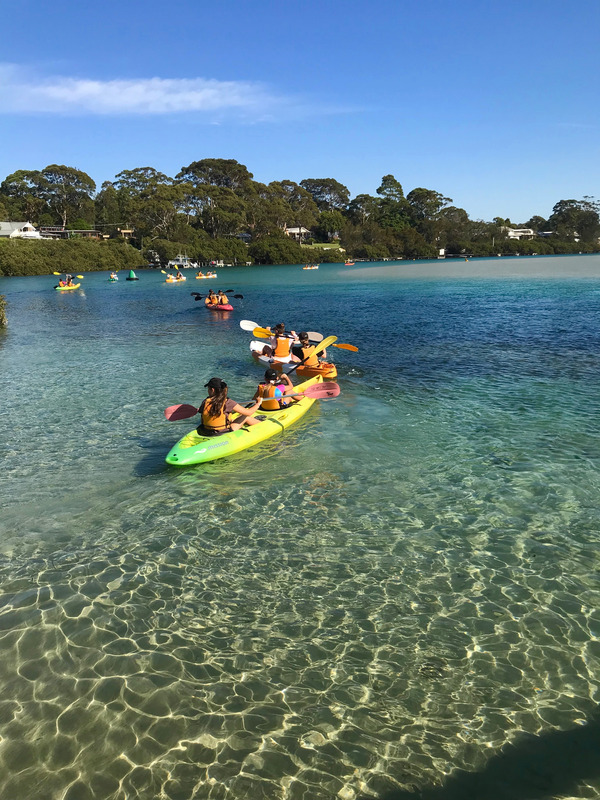 The various activities planned across Years 7-12 were enjoyed by all. 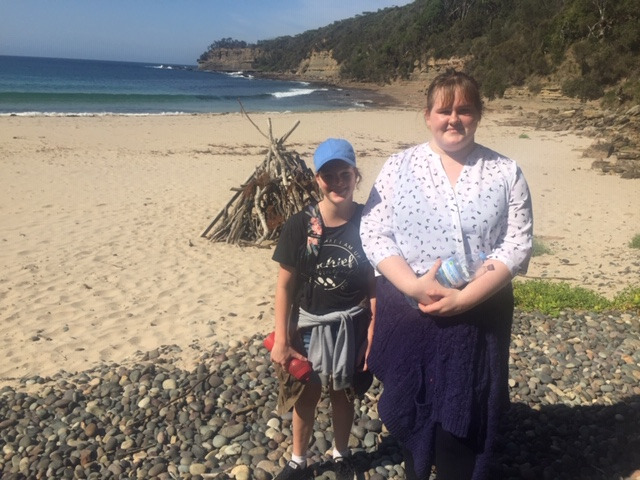 I spent the day with Year 10 at Malua Bay for their Faith Formation Day. I was really impressed by the level of engagement and sense of unity within the year group. Respectful peer relationships were very evident as group tasks were undertaken in a fun and supportive way. Both Fr Martins and Fr Steve joined us for part of the day. We have experienced a problematic start this term in generating family school fee statements. I do apologise for this inconvenience. Family statements were sent out yesterday. Please be assured that we appreciate that it is Week 8 of term. Term One fees will now be due by 29 April 2019. Term 2 Fees are expected to be invoiced in Week 3 and will be due by the end of Week 8. If you are experiencing difficulties with payment at any time, please make contact. Thank you for your understanding. We welcome Mrs Dalys Whipp to the team as Fees & Finance Officer. Dalys will be supporting families with financial support relating to fees. She can assist with payment plans, updating account details, and general enquiries. Dalys will be making contact with all families over the coming months to introduce herself and offer her support. Dalys brings a high level of expertise to the College, having spent 9 years as Bank Manager of the National Australia Bank. Bullying. No Way! Take action every day! Last Friday, 15 March marked National Day of Action Against Bullying and Violence. Australian schools are called to support the 2019 theme - Bullying. No Way! Take action every day. A new suite of student engagement activities is available on the Bullying. No Way! website. It is always our aim at the College to promote a safe and friendly learning community for all. Our behavioural expectations are high and this is to ensure the wellbeing of every child in our care. Pastoral Care is everyone’s responsibility at Carroll College. 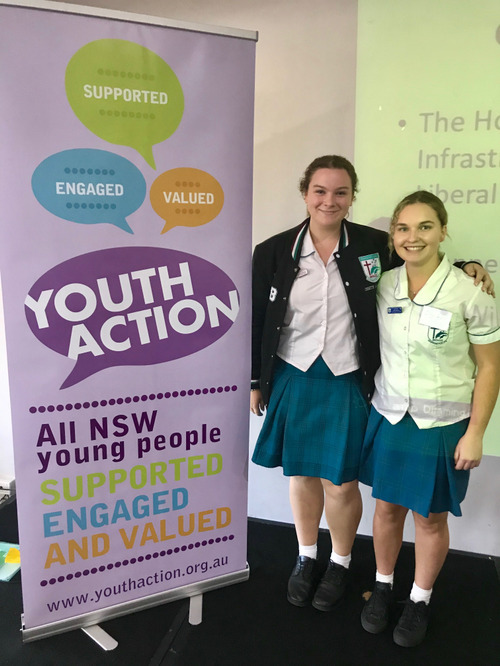 To ensure students feel well supported as they journey from Year 7 to Year 12, structures are embedded to provide pastoral care pathways for students. At the College we have four Pastoral Care Leaders, supported by Assistant Principal (Pastoral), Mr Nathan Mansfield. Three of our Pastoral Leaders are House Coordinators, responsible for overseeing the wellbeing of students in their care, along with special events and activities relating to College life. As families move into the secondary context, it can take some time to get to know teachers and the various roles they have within the College. I have asked each Pastoral Leader to share a little of themselves and their experiences as way of introduction. Whether you are a new family to the College, or have had a long association, I’m sure you’ll gain fresh insight as you read about these significant leaders in our school. I joined Carroll College in 2017 from MacKillop Catholic College, Leongatha VIC where I had been for five years. Prior to this, we had lived 12 years in London, UK, where I was Senior Deputy Principal at St Matthew Academy; the UK’s largest Catholic School. My role was the running of the Secondary College responsible for Pastoral, Curriculum, Staffing and Administration. Of all the different responsibilities I have held in my career, I have always loved the roles in Pastoral Care. You are able to support students through developing strong relationships with students, families and the wider community and have huge impacts on their wellbeing and mental health. I love that the role is very challenging and you have to play many roles as mentor, educator, support service - whilst also playing the part of ‘good cop’ and ‘bad cop’ when appropriate. No day is ever the same! At Carroll College, I lead a passionate and hard-working team who have a varied set of skills and are here to support the students and their families. 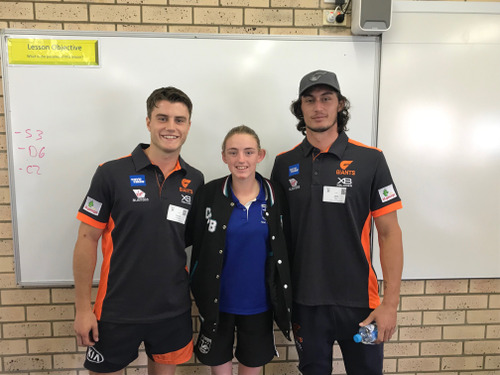 I love working in a community orientated regional area and seeing students thrive outside of school through sport, work and community service. I have been a staff member at Carroll College for the past 12 years. 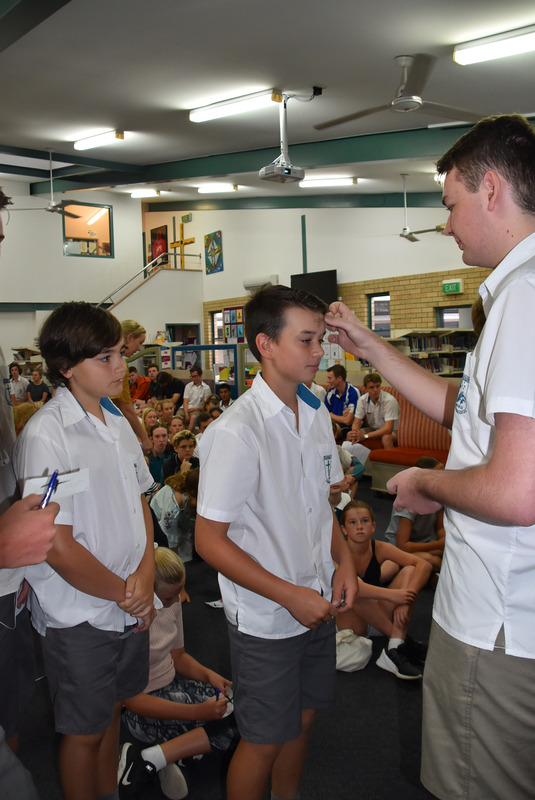 During this time, I have held several positions, including Stage 4 (Year 7 and 8) Coordinator, VET and Careers Coordinator and my current role as MacKillop Pastoral Coordinator. Prior to Carroll College, I held a position as a senior year coordinator at James Sheahan Catholic High School Orange. I teach in the HSIE department as a History, Geography, Economics and Business Studies teacher and deliver Business Services in VET. This is my third year as MacKillop Pastoral Coordinator. The role is busy and can at times be challenging but it is very rewarding. I have the privilege of working closely with students and their families. Pastoral care at Carroll College promotes the wellbeing of all students in line with our Catholic values. Individually, we focus on the whole student - personal, social, and academic. I have been teaching at Carroll College on a full time basis since 2003, after having taught casually since 1996, and am firmly invested in the College and its community. During this time, I have been a Year Coordinator and am currently the Xavier House Pastoral Leader. Working with young people is a privilege. Keeping in mind our Broulee ABC’s which are the foundation of all that we do at the College, I am firmly committed to working with students, staff and the wider school community to ensure the best possible outcomes for the students in our care. The role of the Pastoral Leader is diverse and can be very busy however, the wellbeing of the students is paramount and drives my actions on a daily basis. Further to my role as Pastoral Leader, I teach English, HSIE and Studies of Religion. Classroom teaching is challenging yet rewarding. I am committed to building strong relationships with my students and we work collaboratively to ensure success. 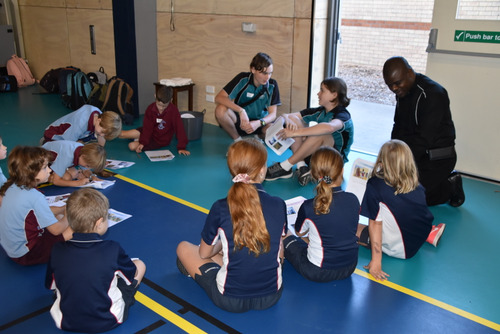 Throughout my 15 years at Carroll College, I have been teaching in both the Science and PDHPE areas. Prior to this, I was fortunate enough to vary my experience by working in schools in Canberra and Oxford, UK. During my time at Carroll, I have worked as a Pastoral Coordinator on numerous occasions, and for the last 2 years have had the privilege of being the Chisholm House Pastoral Coordinator. 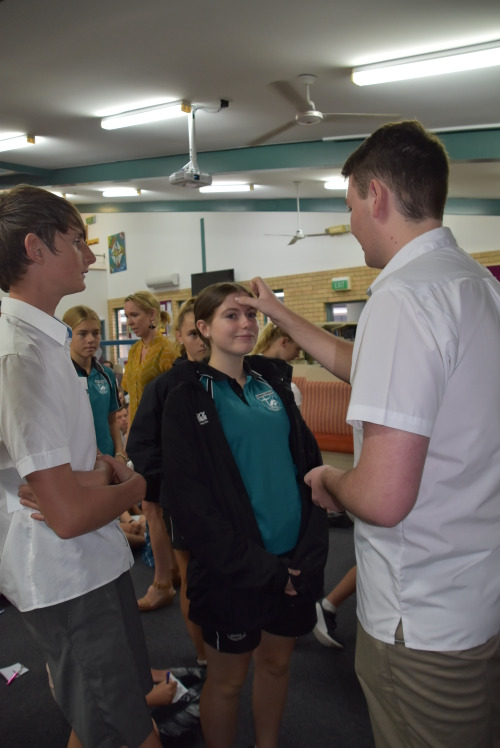 The role of the Pastoral Coordinator focuses on students social, emotional, physical and spiritual wellbeing. 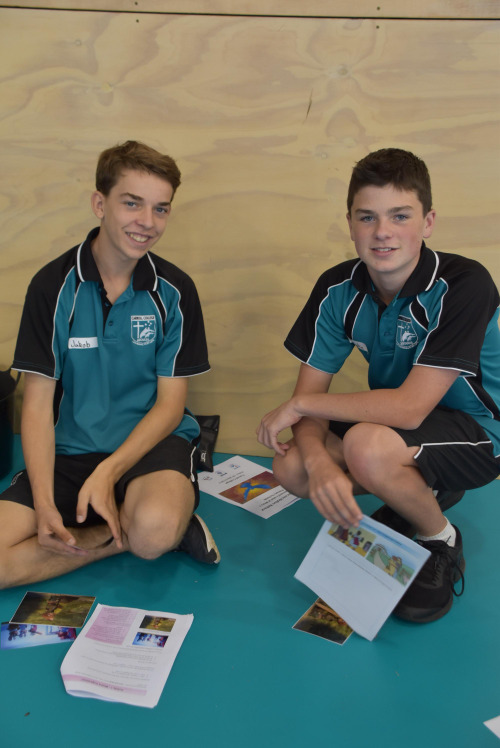 The Pastoral team work closely together to provide our students with support and guidance on issues relating to them. I am very passionate about Pastoral Care and developing positive relationships with students, staff, parents and the wider community. These relationships that are formed are an integral part of this position. I enjoy building these relationships to help create a safe environment where students know they are always welcome to drop by and discuss any issues that they are concerned about. It is a privilege to support our students in their journey through high school and watch them develop into mature and responsible young adults. I am currently in my 29th year as a teacher and count myself incredibly fortunate to be doing a job that I still love. There is never a dull moment in a Science classroom full of teenagers, and I can honestly say that I laugh daily with them as well as hopefully imparting some Science knowledge and understanding! I spent 20 plus years as a Science Coordinator and Senior Teacher in the UK before coming to Carroll College on exchange in 2010. Wayne Foster and I swapped jobs and homes for a year, taking our young families across the world for what proved to be a wonderful year for both families. To cut a long story short, we Hodges returned here in 2014 after I managed to secure a permanent job back at Carroll. We are now permanent residents with applications submitted to become Australian citizens. I am one of the four Pastoral Coordinators in the pastoral office. My role is extremely varied, ever changing in nature and very different to that of my three colleagues. I have mentored all of our new Early Career Teachers through their first two years of teaching and have guided them through the teacher accreditation process. 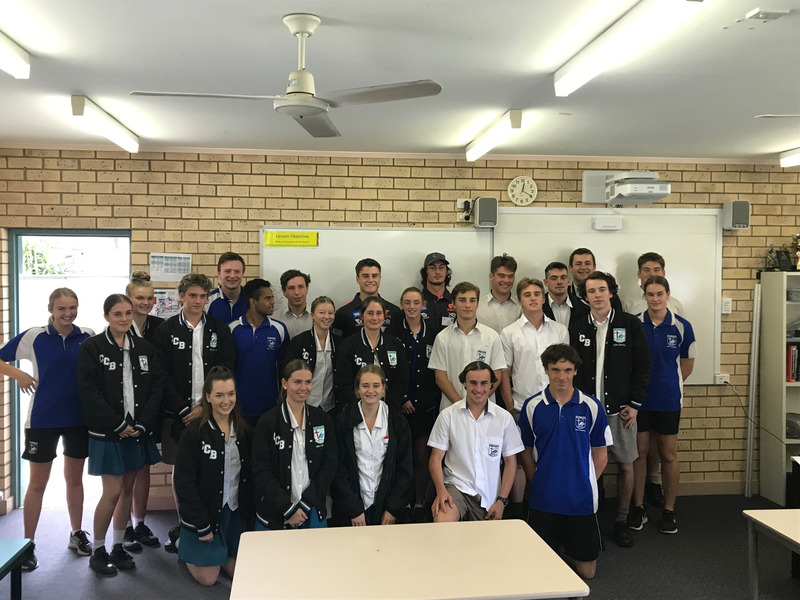 I organise our Year 7 mentoring program delivered by Year 11 students, and the Year 12 mentoring program delivered by staff. Leading Year 7 camp during Term One is both a highlight and a challenge that I greatly enjoy, as are organising events such as DOOF’s, assemblies, Peer Support training, and the Senior Leadership Team (SLT) training camp. My work with the Senior Leadership Team and Pastoral Representative Council (PRC) student bodies is always stimulating with the students meeting regularly and seeing that they can have a positive influence on the life of the school. It’s great to see them grow into these roles. Often families ask me about our Catholic context and how we differ from other schools. The answer is simple. We live what we believe. Our faith-filled community is based on Christian values. These are our guiding principles for the way we educate and care for our students. When children feel safe and happy, only then can they excel in their learning. Our Pastoral Leaders, along with the entire team, are integral to the happiness and wellbeing of our students, and I commend the staff on the work they undertake every day. Their genuine care, prompt follow up, and supportive engagement with students and families is exceptional. Please know that your child’s pastoral leader is your first point of contact if you have concerns or questions relating to your child’s wellbeing. One of the priority areas for Catholic Education this year is Numeracy improvement. 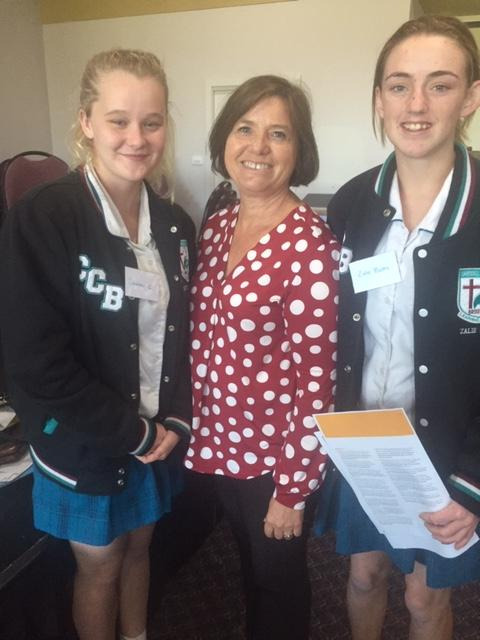 Catholic Education is offering clusters of collaborative learning once per term, employing Leonie Anstey, an Educational Consultant in Instructional Leadership and Mathematics & Numeracy Education to work with all schools across the Archdiocese. The program focuses on teachers of Years 5, 6, 7 & 8. Putting our Upper Primary and Lower Secondary teachers in the same professional learning community will help improve student outcomes during the often tricky transition phase between primary and secondary mathematics. It will also develop a sense of shared best practice across the Archdiocese. 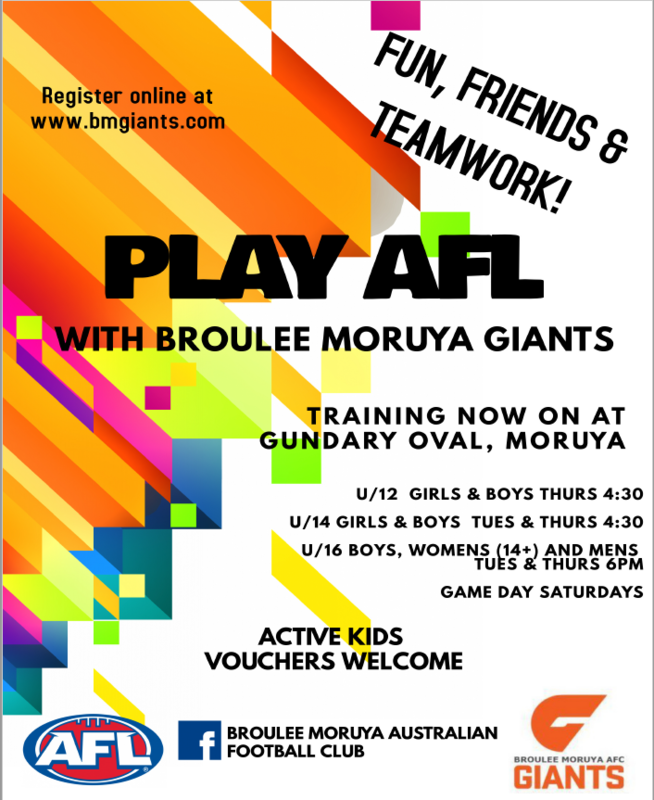 Stacey Donoghue, Nicole Montgomery, Robert Wales, Karen Ashby and myself are attending the session today in Goulburn, along with teachers from St Mary’s Moruya and St Bernard’s, Batemans Bay. Thank you for your ongoing support. We are enjoying a very positive term at the College. There is a sense of collaboration and happiness as I move around the College and engage with students. It’s wonderful to witness. Last Friday marked the National Day of Action against Bullying and Violence! Bullying is detrimental to the mental health and well-being of victims and bystanders and is found in many families, schools, workplaces and community organisations. We all have a responsibility to put an end to it and when we are made aware it will be dealt with appropriately at the College. “Bullying is an ongoing and deliberate misuse of power in relationships through repeated verbal, physical and/or social behaviour that intends to cause physical, social and/or psychological harm. It can involve an individual or a group misusing their power, or perceived power, over one or more persons who feel unable to stop it from happening. There are a number of great resources on bullying that parents can use at home to educate and support students about bullying. The online resources found online by ‘Bullying No Way’ provide parents and carers with practical and useful tips for what can be difficult conversations to start at home. There are a number of other online support services which provide useful tips, resources and further help if required. This site has a huge number of topics around relationships, keeping safe, responsible choices, diversity and healthy minds and bodies. They are practical and realistic to help start conversations at home. has a large number of resources split into appropriate age ranges to support healthy minds and bodies, respect, positive relationships and building resilience. If any parents or carers would like any further support on having some of the more difficult conversations with their children please contact the Pastoral Team at the College and we will be happy to assist. Our Parent Teacher evenings last week went very successfully from the College’s perspective. We would like to find out how parents found the new format. If you would like to provide us with some feedback, please click on the link below and complete a very short survey. Carroll College will again be conducting the national NAPLAN tests via the online platform. To ensure our students understand this new format, students in Years 7&9 will undertake a practice online NAPLAN test in Week 10, 3 April. The actual tests will take place in Week 3&4 of next term. Attached to this article are copies of the parent consent forms if you wish to exempt or withdraw your child or to request special accommodations for your child. The school is able to provide common accommodations such as extra time or rest breaks based on the personal learning plans of individual students, so a form is not needed in these cases. Applications for exemption, withdrawal or special accommodations are due back to the school by 3 May. At the recent Information evenings for Year 7 & 11 parents, it was stressed how important it is for students and parents to be aware of what Assessment Tasks students have coming up. Each year the College publishes Assessment Booklets that outline the week a particular subject has a task due. (The actual due date for the tasks are posted on the Sentral Assessment Calendar, usually when the tasks are issued to students.) These booklets are available on Sentral and it is suggested that at least the term calendar located at the end of the documents are printed off and placed in a common area at home so tasks can be completed in an organised and timely manner. The end of each term is usually a very busy time for the completion of tasks so any help you can provide your child in being organised will help them maintain a healthy balance in life. Year 12 teachers are currently finalising assessments ready to write the Year 12 Half-Yearly reports. These reports cover the period from Term 4 last year through to now. Absences will be recorded for the same period. Please check that you have provided reasons for absences so that they are not reported as unexplained. This can be done through Sentral or writing a note to the College. Ash Wednesday, the first day of the liturgical season of Lent, began at the College with our staff gathering in the morning for a beautiful prayer service prepared by Mrs Charlotte Nicoletti and lead by Fr Stephen Astill from Sacred Heart Parish. Senior Leaders then facilitated prayer services in House groups for the whole school community. Often we think of Lent as a time to ‘give-up’ something; chocolate or soft drinks seemed to be the most common sacrifices. Whilst this type of going without can be a way to focus on Lent, the season can be considered far more broadly as a time when we focus on self-improvement and self-restraint. When speaking with the students, I talk about thinking of other ways of giving-up something for Lent. Perhaps let go of a grudge you hold against someone; make a greater effort to be kinder to, or engage more with, a sibling or parent; give up gossiping; give up being so self-critical. Another consideration for the season of Lent is to go without something and donate the money ordinarily spent on this item to Project Compassion. Each year Carroll College proudly supports Caritas Australia’s Project Compassion. The theme and message of Project Compassion is outlined in their online resources. 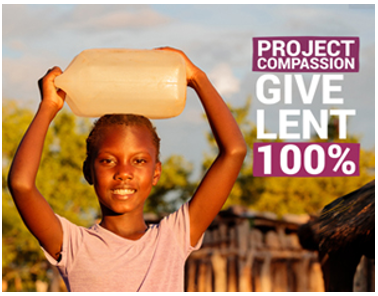 The theme for Project Compassion 2019 is based around hope and giving Lent 100% in the name of hope. Hope is one of the three pillars of Christian virtue. The other two being faith and charity. It is a powerful force for good and often helps to transform lives. Hope helps us to face life’s challenges and sustains us as we work alongside the most marginalised and vulnerable communities to achieve better lives. Based on God’s love for all, hope enables us to rise above our fears and helps those in great need to shape a better future for their communities. 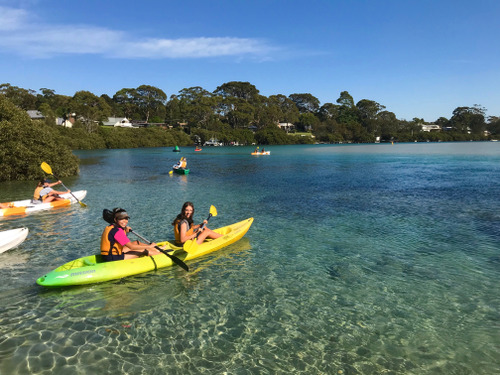 Caritas Australia believes that fundraising should be FUN! It’s also an opportunity to raise awareness about important issues, and a chance for the community to take part in a social justice action. Everyone who contributes is empowered and able to stand in solidarity, with the communities we serve and those who benefit from our actions. Lives change when we all give 100%. The Gospel reading for the second Sunday of Lent, 17 March, centered on Strengthening our Faith. Jesus takes three of his disciples aside and reveals himself to them in his glory as the Son of God. His aim is to strengthen their faith in him as they make the difficult journey to Calvary. Jesus does something similar for us in the Sunday Eucharist. He invites us to step aside from our daily chores to pray, to listen to his word and be nourished by him. Strengthened, we go out from Mass ready to take up our journey along the way of the cross. 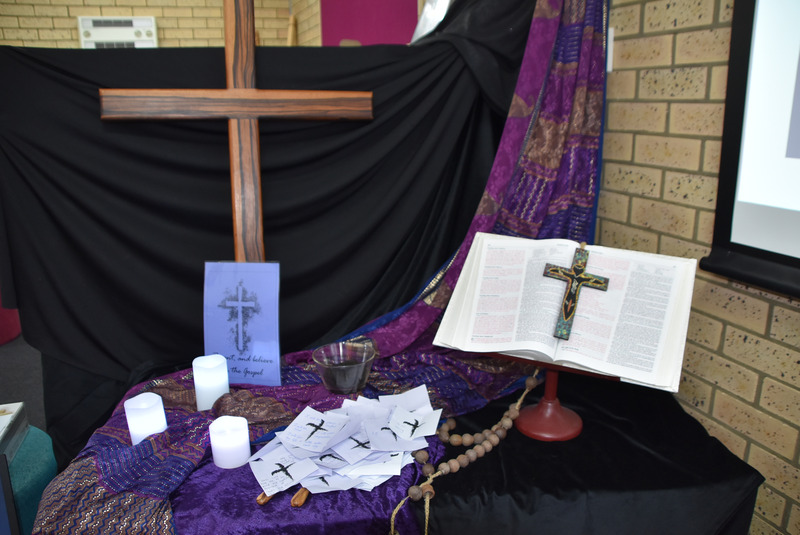 Over the past fortnight, the College has provided students with the opportunity for strengthening their faith. 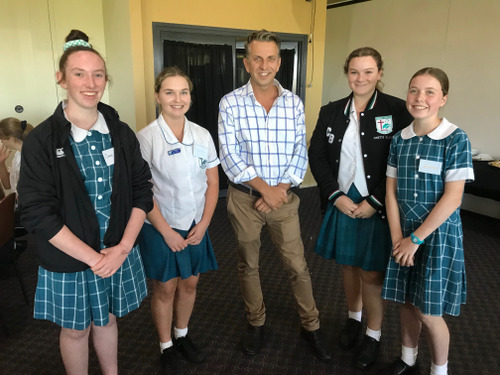 Year 10 students participated in the formation Day Launch Out into the Deep. Formation days allow students to step away from their daily school routines, to reflect and build on their relationships, whilst acknowledging their strengths as a year group. They provide an opportunity to learn a little more about themselves, reflect on their beliefs and incorporate aspects of prayer life in a positive way. 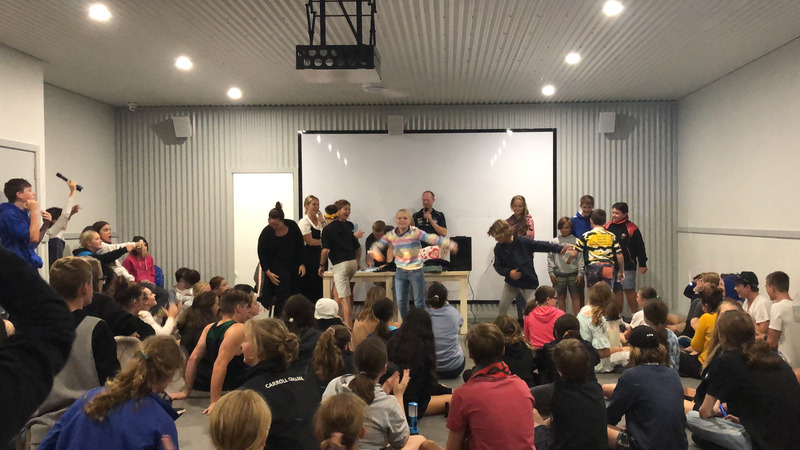 I would like to thank all teachers involved in the day Mr Ashby, Mrs Dell, Mrs Drewsen, Mr Hamer, Mrs Heffernan, Mrs King, Mr Lyttle, and Mrs Maher. Last Friday, our Year 9 CSYMI (Catholic Schools Youth Ministry International) class ran the Year 2 Reconciliation Day, under the guidance of Mrs Lyttle. This day presented our students with the opportunity to facilitate small group sessions and accompany the primary school students on their sacramental journey. Days like this strengthen our K-12 Pathways and allow our students to serve the community, and develop their leadership skills. All involved were full of praise for the efforts of the Year 9 class, their enthusiasm and the care they showed for the younger students. We were thankful Fr Martins and Fr Stephen could spend the day celebrating with us. Please keep the following families in your prayers. 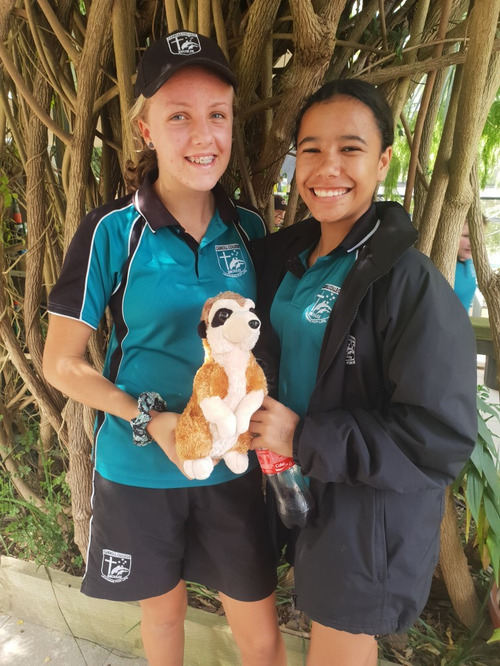 Tayah Craw-McGrath (Yr8) on the passing of her Great Grandfather. Charlton Fogarty (Staff) on the passing of his Father in-law. The following reflection was used as the basis of a paper at conference of English teachers some years ago. It is an acknowledgement of the important role of both parenting and educating, the opposite sides of the same coin. He lit the lamp with meticulous care at the beginning of each lesson. I cannot remember anyone ever being late. It wasn’t as though we were afraid of the consequences; punctuality was borne of respect for our teacher. An aesthete, a man of letters with an immense passion for learning that was manifest in a mustering of scholarship and confidence. Br. Paul lit a lamp at the beginning of each period. He used to tell us that the art of knowledge was to conceal knowledge not as a weapon to bludgeon others. Learning was not to be used to demean others but to make the world a better place. He was my mentor and my friend in an era when teachers maintained the cold and austere distance of office. Brother Paul Mannes fms. inspired me to become a teacher. His Moroccan lamp brought back from a trip to the Holy Land flickered as a constant reminder of the value he placed on scholarship. We ploughed on through Caesar’s De Bello Gallico and Ovid’s Metamorphosis because of his steady reassurance. As he helped us unlock the mysteries of the pluperfect tense, I caught his love of the spoken and written word. Even though we had a double period of Latin on a Saturday morning, I studied ungrudgingly! I have often wondered what happened to that lamp. A few years ago, I travelled to India. In the northern city of Agra known for the Taj Mahal that grand, wondrous monument to folly and yearning, I found another lamp. A Hindu tuk-tuk driver invited me to his home for chai. In his one-roomed, mud-floored dwelling there were five children of various ages huddled around a low fruit box, atop of which was an old oil lamp. The father had wrapped calico tightly and dipped in dye as pens for his children. The little ones were practising writing. A large brass bowl of rice and rats skewered on wooden sticks told me of their wretched social status. The parents grimly understood that to be literate was the only means of escape from the shackles of caste and poverty. In that dim room, Br. Paul’s lamp found its mirror. In my professional life, I have been fortunate beyond measure. To wake up and actually look forward to the classroom, to eagerly anticipate the changing dynamics of a new day. I still feel that after nearly 45 years. A famous director, novelist and football star have passed through my classroom but I remember just as fondly those boys and girls who have gone on to live contented and meaningful lives. Parents and teachers daily experience family trauma, sick children and a host of impediments. In the end, these things are usually put aside to attend to the needs of children. Society doesn’t always see that kind of bravery. I have witnessed extraordinary acts of heroism that continue to inspire me long after Br. 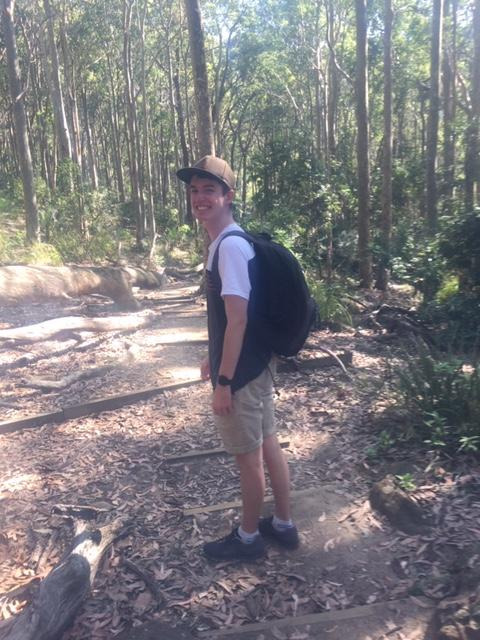 Paul passed away: a Year 11 student who chose to spend his last days on a retreat rather than a hospital bed. 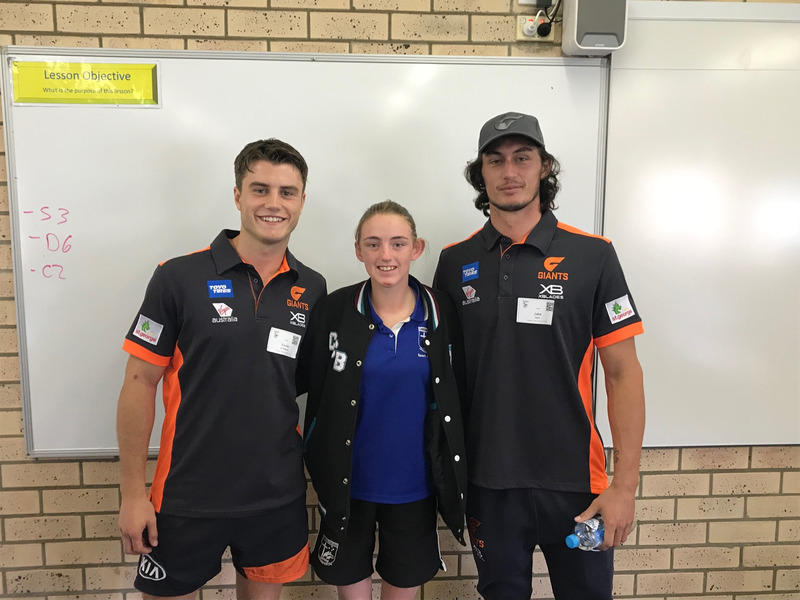 A Physics teacher with days to live who left his hospital bed to revise Year 12 work before the HSC, an English teacher with a gift for working with troubled youth. He cajoled those students to stay behind after school and build a garden. In the act of weeding, planting, and creating - he taught them. In Sydney, today, that garden is maintained in his memory to this day. It is something truly great. We span the ages, we are a link in a chain or educators and parents who have gone before and who will follow. We light the lamp that gives hope to youth stumbling in semi-darkness. Unappreciated at times we may certainly be and in one day we are asked to be so many things - from nurse to confidant to role model, yet I am reminded that only one out of ten lepers who were cured came back to thank Jesus. We may “share the wind’s invisibility” but our roles are life changing. Education and parenting are vocations. We are called to this high office. It is at once daunting and miraculous. There are two ways of spreading light. 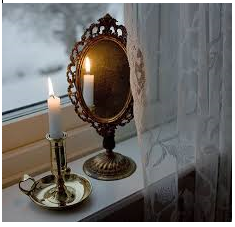 To be the candle that illuminates or the mirror that reflects it. We are called to be both. The ‘7/11 camp’ was a fun and engaging time for all involved. With 9 staff members, over 100 students including around 30 year 11 peer support leaders attending, the time spent together proved very memorable. 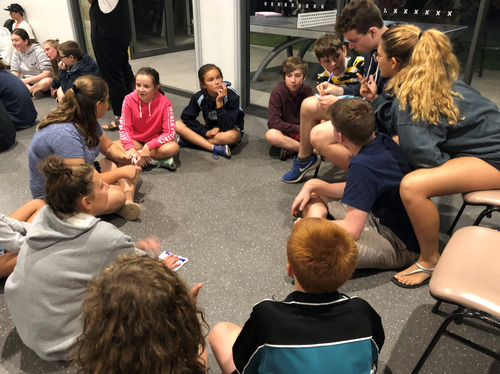 On arrival, the year 11’s helped year 7 to pitch their tents and swags followed by an evening of entertainment and laughs in the meeting room. 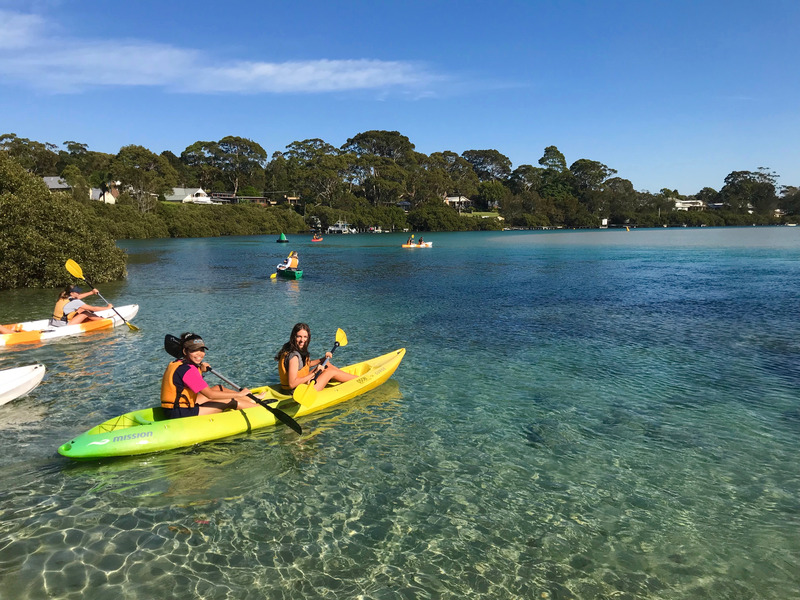 Bendalong Beach is a beautiful and calm beach, with friendly stingrays that nudge your legs and glide around below the surface with no fear of humans. Despite the forecasted scare of rain and clouds, the sun stayed out throughout the entire camp, allowing all activities to be run successfully. 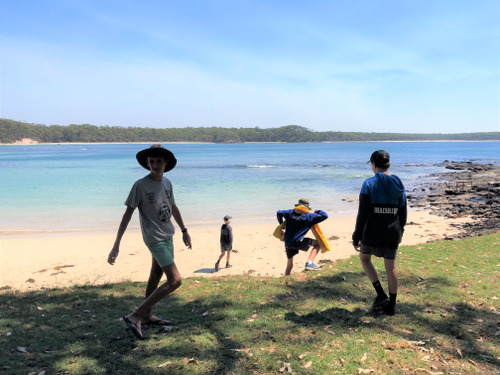 Group activities guided by year 11’s and enjoyed by year 7’s, included Bondi rescue, sand sculpture building, scavenger hunt, drama room 101, jumping pillow and water park challenges and a team capture the flag game on the last morning. We also enjoyed swimming and free time with friends. 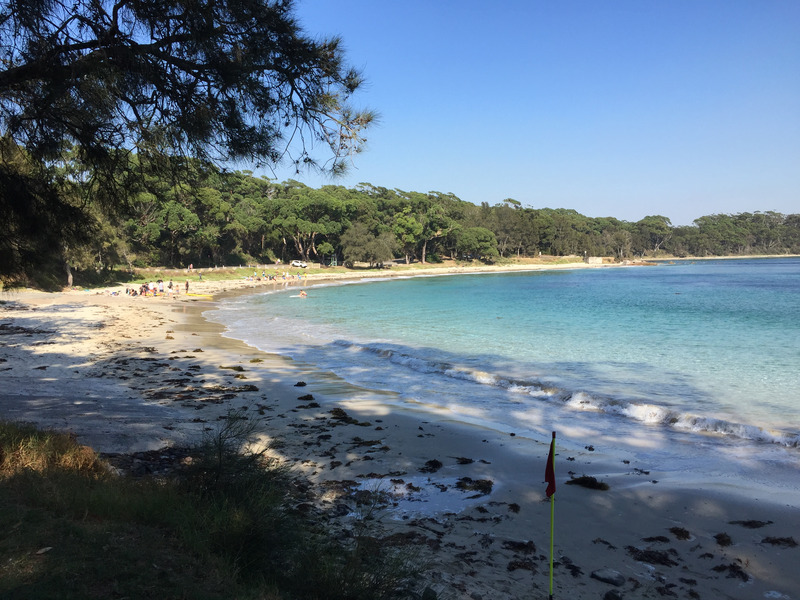 Students were comfortable and well settled on the campsite, allowing for great interactions between the year groups. On Thursday night much laughter was created by the performances of group TV advertisements and the night ended with a communal disco. Our lovely food was prepared by Mrs Shilling, Mr McPherson and the catering group comprising of 5 year 11’s. On Wednesday 27 February Mr Fogarty’s PDHPE class departed Carroll College for their outdoor recreation expedition to the Yadboro State Forest. 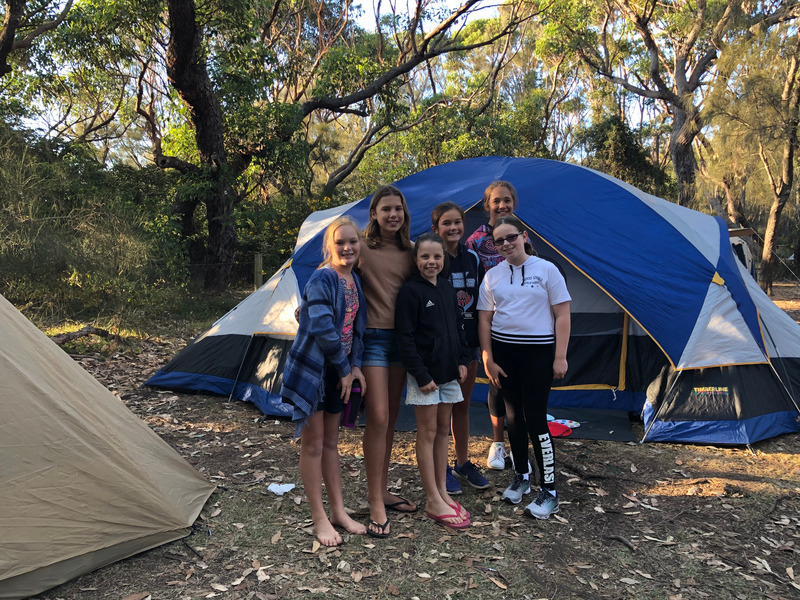 After a long and bumpy bus ride we finally arrived to our scenic campsite at Long Gully Flat. 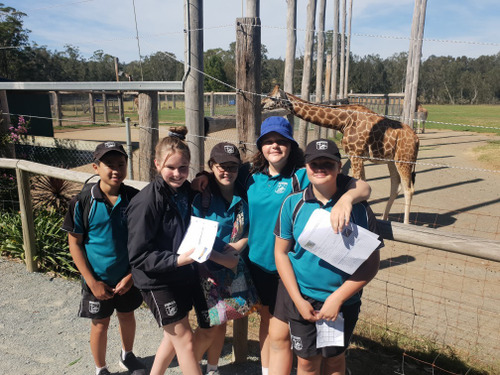 We were greeted by a few surprise visitors namely a giant Goanna that had a few students on edge early on. 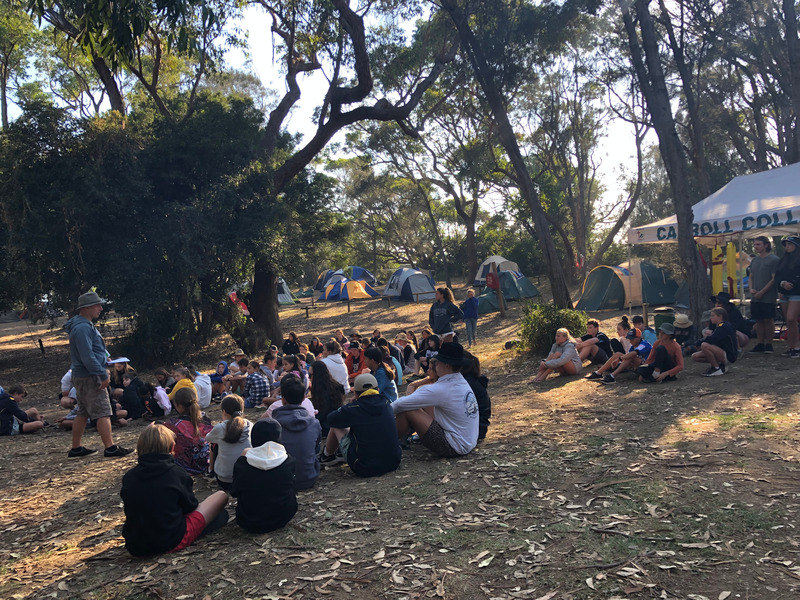 After setting up our campsite we were allocated jobs in order to prepare for dinner which included collecting firewood, water and following Mr Fogarty’s secret dinner recipe to feed the hungry teenagers and ensure that we would have enough energy for the following day. After a tasty meal we played a few campfire games, with kick the bucket being the highlight. Although there wasn’t much of the bucket left thanks to Ruby Lyttle. After a bit of supper we crashed out and dreamt of what Mr Fogarty had in stall for our big hike. Who needs an alarm in the bush when you have a dozen kookaburra’s laughing at 6am! Needless to say none of us slept in that morning (especially the boy’s tent area who had to put up with some extremely loud snoring). After breakfast we got our packs ready and prepared ourselves for the big hike up to the top of Byangee Walls which is a large mountain formation next to the Castle in the Budawang Ranges. 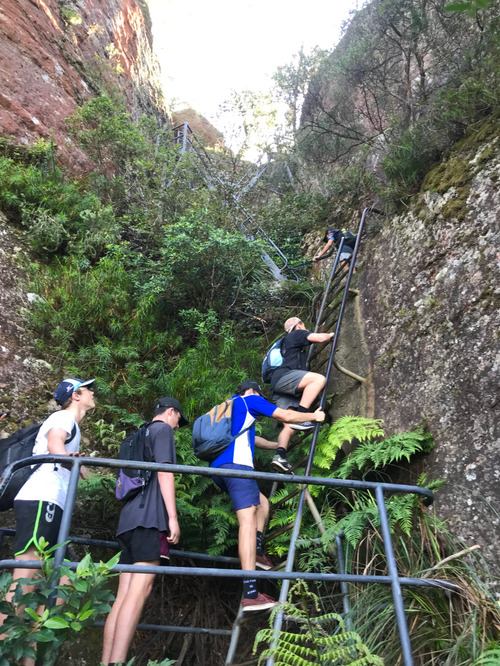 The group was seriously tested as the slope gradient got steeper and steeper as we got into the hike. Many of our heart rates were hitting peak levels. The intensity eased off a bit as we traversed across the base of the Castle in which we were treated to some spectacular views from above and below. One of the highlights was entering the “Cathedral” which could have been straight out of a Lord of the Rings novel. After a brief stop for morning tea we began our ascend up the main part of Byangee Walls. This is the most technical part of the climb which involves scrambling between tight spaces, ducking and weaving between rock formations and negotiating large boulders. 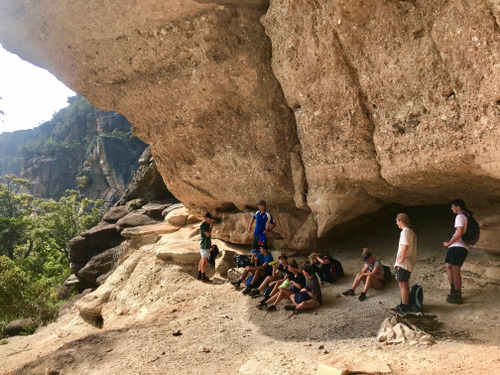 The group did amazingly well to pull themselves up over the main boulder using ropes and the assistance of staff. 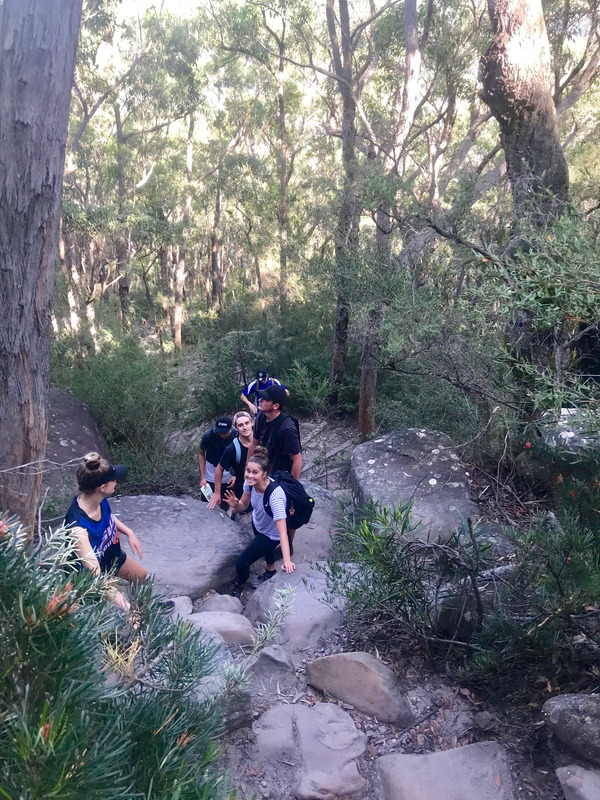 Many group members felt relieved to conquer their fears and were very happy to be back on the walking trail again. As we neared the summit we had to cram through one more tight space known as the chimney. 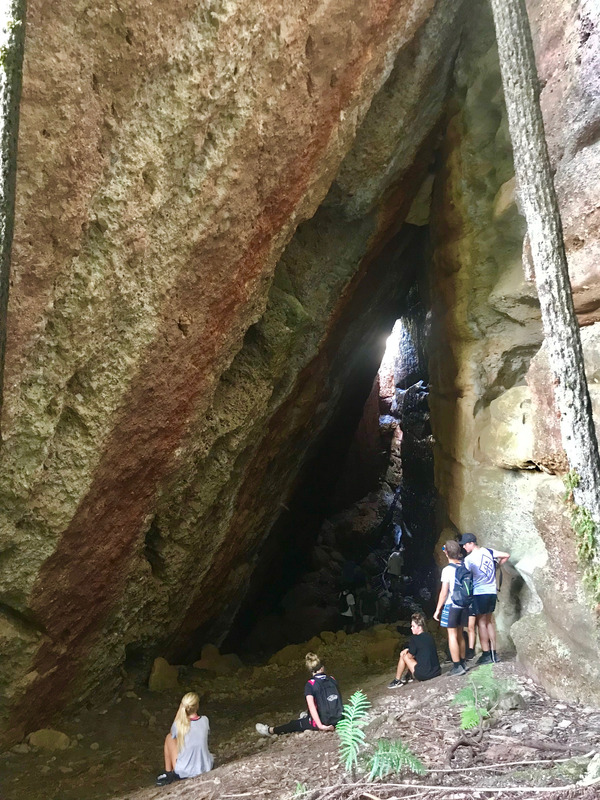 Students showed excellent team work here by helping each other through the tight space and passing through each other’s day packs. From there we could see the end in sight and within a matter of minutes we had reached the summit on the SE corner. Energy levels were low by this stage and breaks were needed. After a few encouraging words from Mr Fogarty (I think he said something along the lines of….do you think Sir Edmund Hillary gave up 100m from the top of Mount Everest?) we continued to the very top of the walls where we all signed the visitor book and read comments from past students who had done the climb. After a quick rest we made our descent back down the mountain which thankfully was much easier than the way up. Once again energy levels were fading and water supplies were low, but the group dug deep and finally made it back to base camp. We were treated to a swim in the crisp refreshing water of the river to sooth our aching legs. 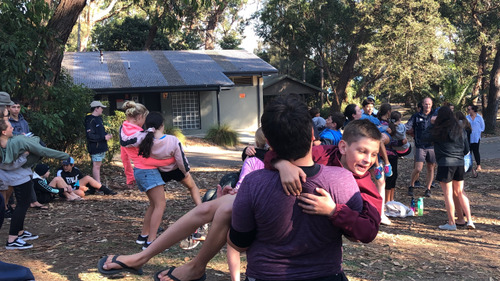 We spent the afternoon at Yadboro Creek where we had another swim and played a few initiative games which got the group laughing. One highlight was Geordie Kemp’s outstanding hoola hooping skills! 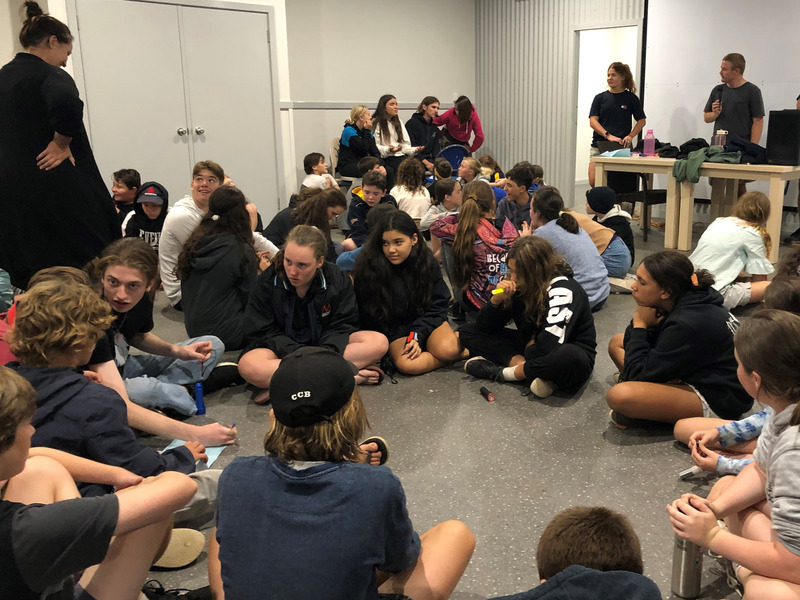 Another great meal was had and with a little less energy than the previous night we were happy to sit around the camp fire and play games that involved little or no physical activity. Another highlight would have to be Geordie Kemp again who managed to annihilate Jack Newton in “Chubby Bunny” in which he stuffed at least 25 marshmallows in his mouth. We all went to bed tired but satisfied we had overcome the toughest challenge of the camp. The next day we woke, had breakfast and packed up the camp. We then drove to Pigeon House Mountain or Didthul (traditional name). 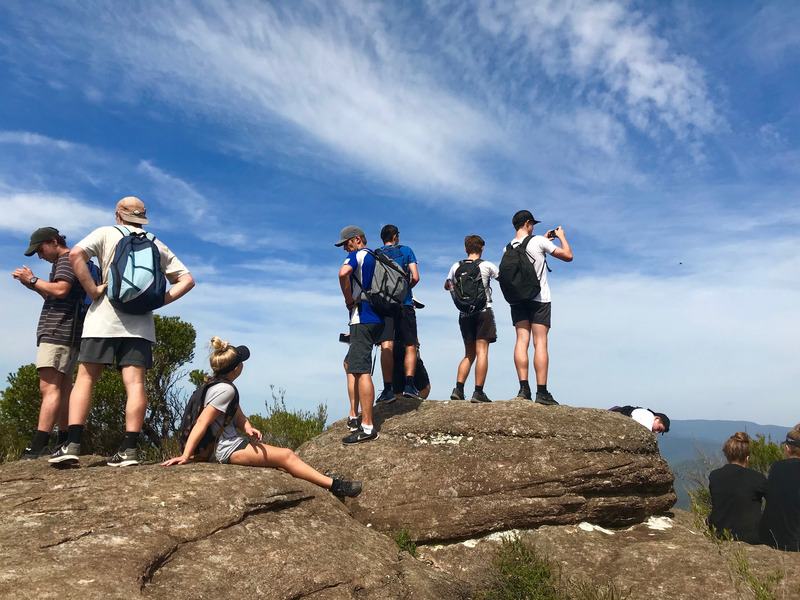 Mr Fogarty was almost verging on using a cattle prod to get some students to leave the comfort of the bus as many were close to broken from the tough walk the day before. To everyone’s credit we all got hiking and it was a magical day in the Budawangs. 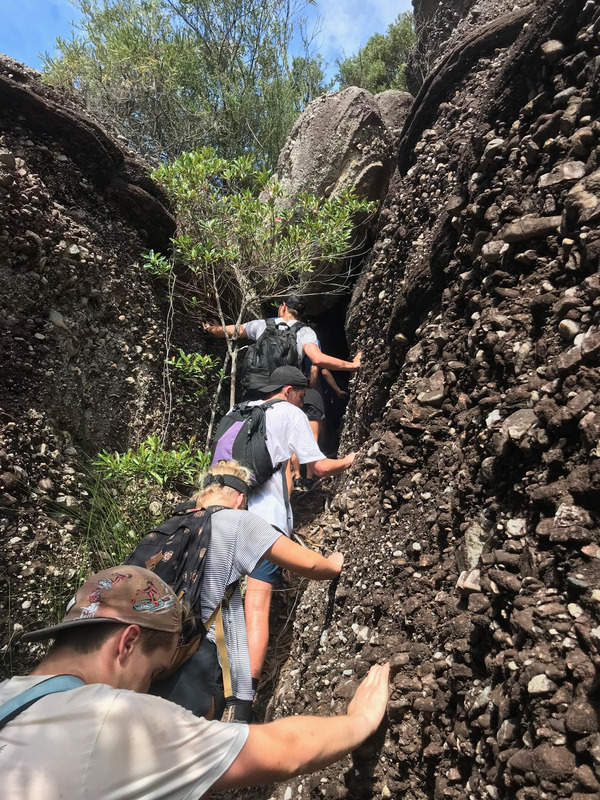 Once we conquered the steep incline of the first section we were then confronted with a series of ladders to negotiate to make our way to the summit. Once again the group worked well to encourage each other up the ladders and we all reached to summit together. We had a bit of lunch whilst we took in the amazing views across the coast and out into the Budawang Ranges. What a relief it was to be finally walking downhill again and we made great time on our descent. We had finally made it! Two big walks completed in two days. We got back on the bus feeling relieved with what we had accomplished and some were asleep almost as soon as we left the car park. Overall we had a great time and everyone pushed themselves both physically and mentally. A big thanks to Mr Fogarty for organising the trip and for Miss Bonner who accompanied us on the trip, drove our gear out and provided words of encouragement during the tough times on the mountain. On Thursday the 14th of March Carroll College was lucky enough to host a visit from 2 elite AFL players from the GWS Giants Jake Stein and Xavier O’Halloran. Xavier is a rookie this year and Jake came from an elite athletics background once holding the title of World junior decathalon champion. 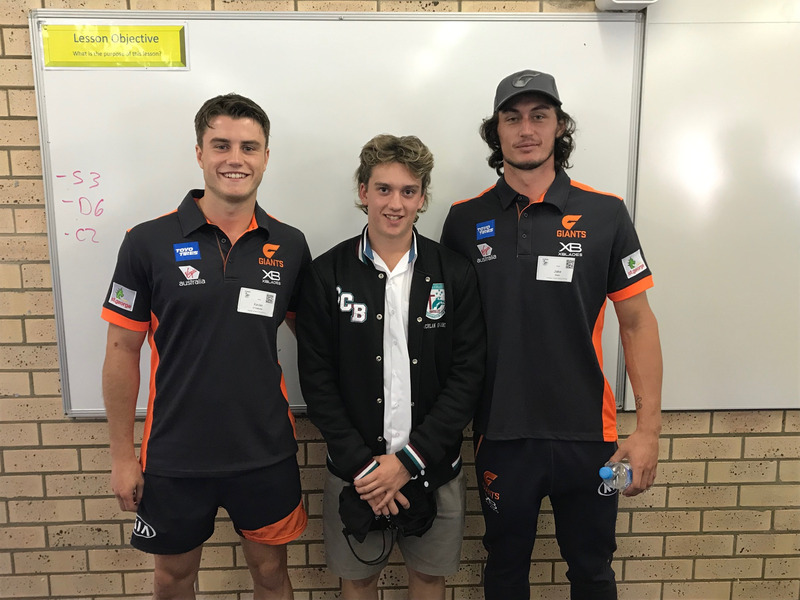 Students from year 11/12 Sports Coaching and year 11/12 PDHPE classes got to listen to each player’s journey into the elite ranks of the AFL. Students asked questions regarding recovery from injury, training methods, nutrition and life after football. Big thanks to John Dyball and the players for visiting. an initiative by the Carroll College Rosellas. The Carroll College Rosellas started the “Return and Earn” campaign Wednesday 13th March. 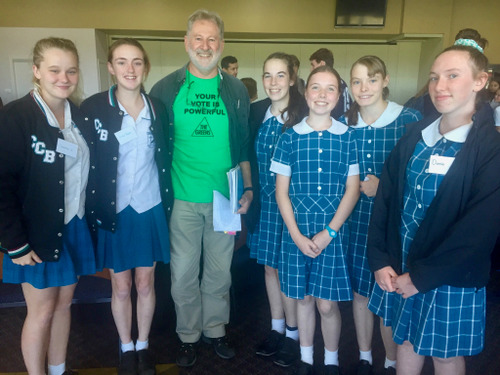 The aim of the project is to encourage students to think more about the way they dispose of recyclable items rather than placing them in any bin and ending up in landfill. To encourage a change of behaviour, the Rosellas in partnership with the Canteen are providing a discount reward card system. 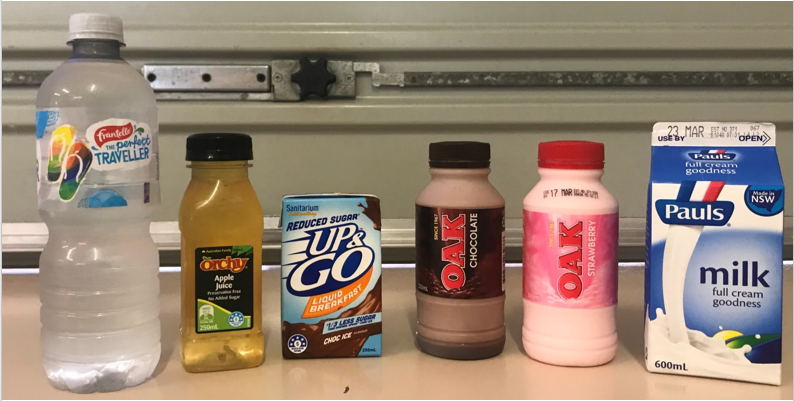 Students who purchase milk, juice and water are encouraged to return the empty container to the canteen. 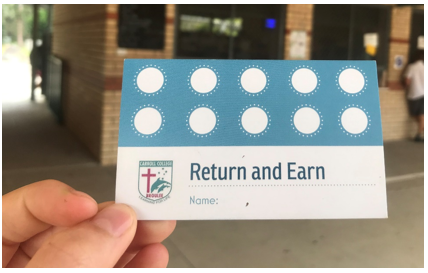 The student will receive a point on a rewards card. Ten reward points equal $1. Students can cash the points in at the canteen for a discount on their purchases. Students have taken up this promotion and we are quickly on our way to collecting recyclable items. CCB Greenies is an environmental social justice group established by our current Yr 12 students. The Greenies, have worked hard within the school and the Eurobodalla Shire to join the global community in reducing the impact of waste on our planet. To reduce the plastic waste, the Canteen will no longer have plastic water bottles for purchase. We have stock until Sold out. Which will be before the end of this Term. Term 1 Fee Statements have now been emailed and are due by Friday 26 April. Receipting is up to date to 28 February 2019. Payments made between 28 February and the current date are currently being processed. We apologise for any inconvenience this has caused. Payments can be made at any time via Qkr, Direct Deposit and BPAY. 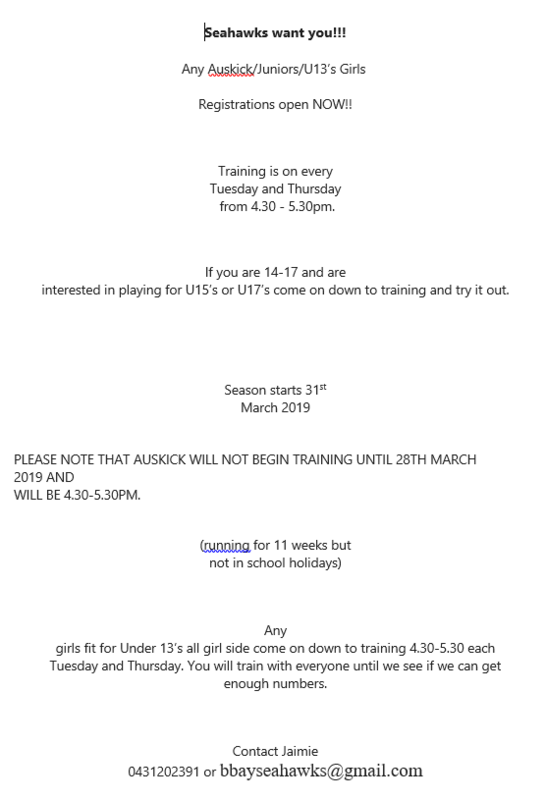 Please find attached to this newsletter email – a link to our 2019 Fee Schedule for information. Applications for Reduction of Fees are being processed.